Glock has numbers of modification parts available and there are plenty of competing products for similar, if not same functions. One of things that are not exactly on the top of the list - but can be done easily - is inserting a plug in to Glock's grip. 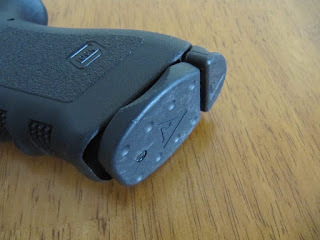 By placing a plug, dirt won't get in, as well as improving magazine reload. When you install the plug, it protrudes a little from the grip. With a factory magazine inserted, there might be a few millimeters of difference between the bottom of magazine and grip plug, but it is so minute. With magazines that have Vickers Glock Magazine plate, it is even. So when you insert magazine, there is no chance that it will hurt your delicate palm. There were no problems while performing some reloading drills. Some people might be bothered by the protrusion, but functionality comes before aesthetics. 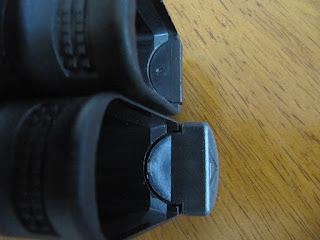 Compared to my Jentra grip plug, there are some differences between the two. 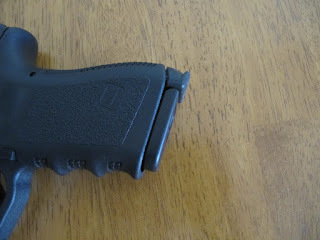 With Jentra plug, there is a small offset between the back wall of the magazine well and end of the plug. This has never been a problem, and don't think it will be, but Vickers Grip plug leads up to the edge of the magazine well more naturally. 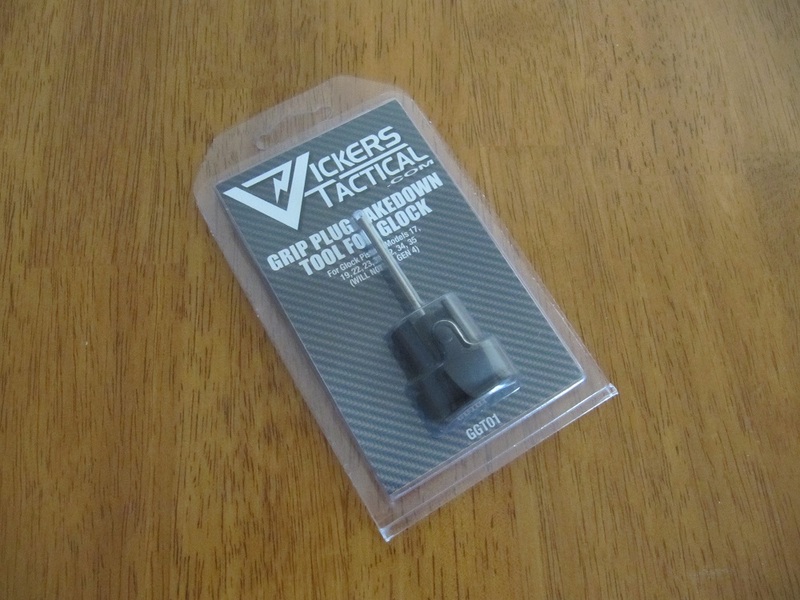 Vickers Grip Plug added enough extra length to the grip to make it feel almost like a Glock 17 grip on my Glock 19. 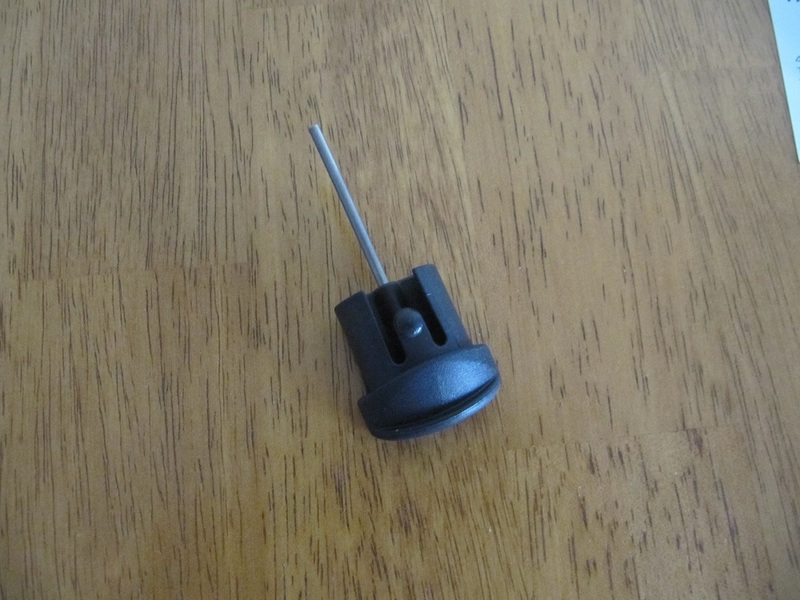 If someone wants the stock Glock 19 grip length(for CCW purpsoe), this plug may not be the person's choice, but for those who don't worry about it, it won't be an issue. There has to be some advantage over other competing products such as Jentra(around $7), Ghost(around $9), and Pearce. One of such advantage is the built-in aluminum takedown tool. This is not the first of its kind. PSI Tac-Rac plug-tool has been around for sometime, but Vickers Grip Plug brings more to the table than take down tool. The most pronounced feature is that this tool can be easily pulled out from the grip. Most of the competing products offer flush fit which forces users to use other pointy tools to take out the plug if needed. 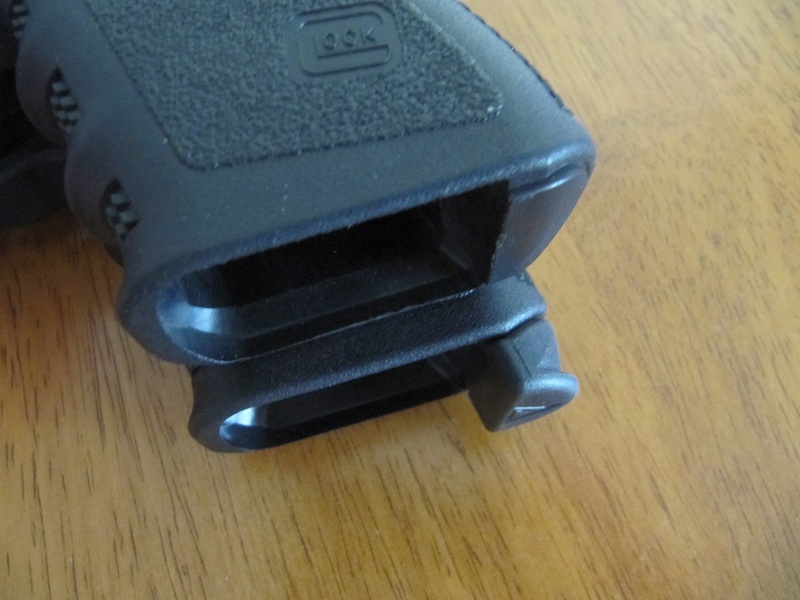 Vickers Grip Plug protrudes enough for quick and easy access just by using Glock magazine. In fact, Tangodown specifically warns about using pointy objects to take the plug out. Overall, I think this is a very good addition for those who will occasionally need a field expedient work. Instead of carrying a Glock Armorer Tool, this plug does multiple functions(block dirt from getting in, magazine insertion help, and armorer tool) at once.